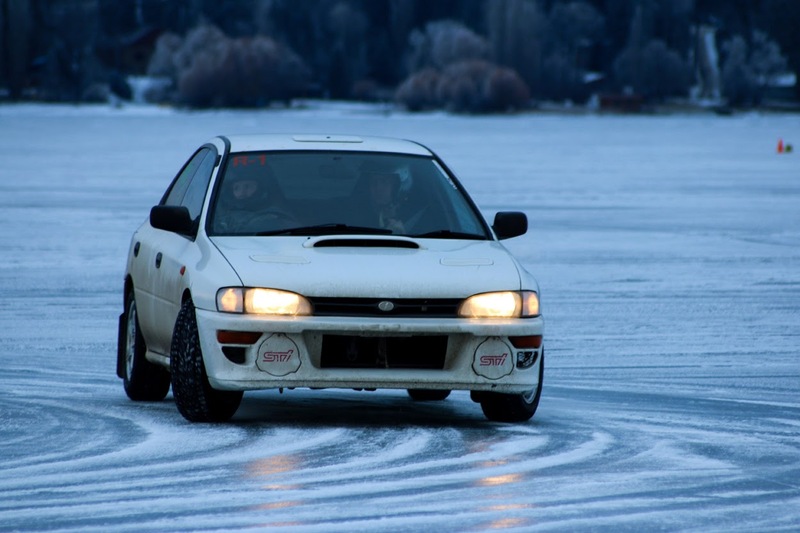 The Life Mechanical: The ICE Age Begins Again! 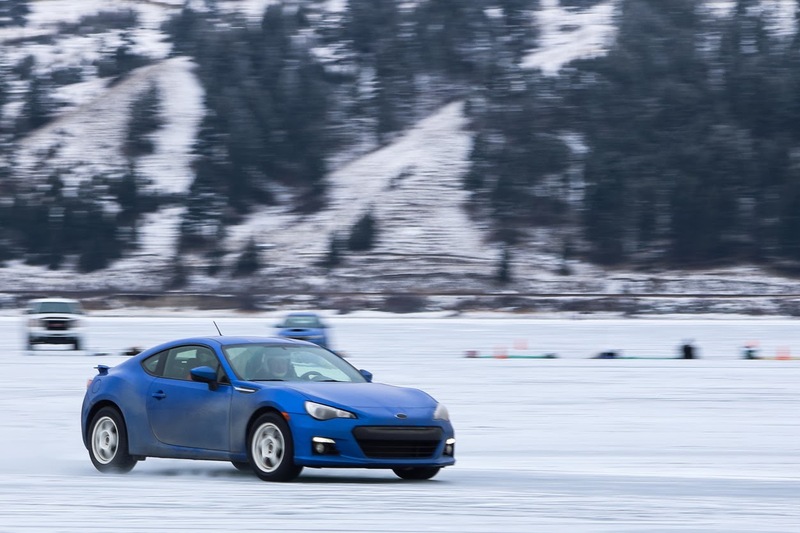 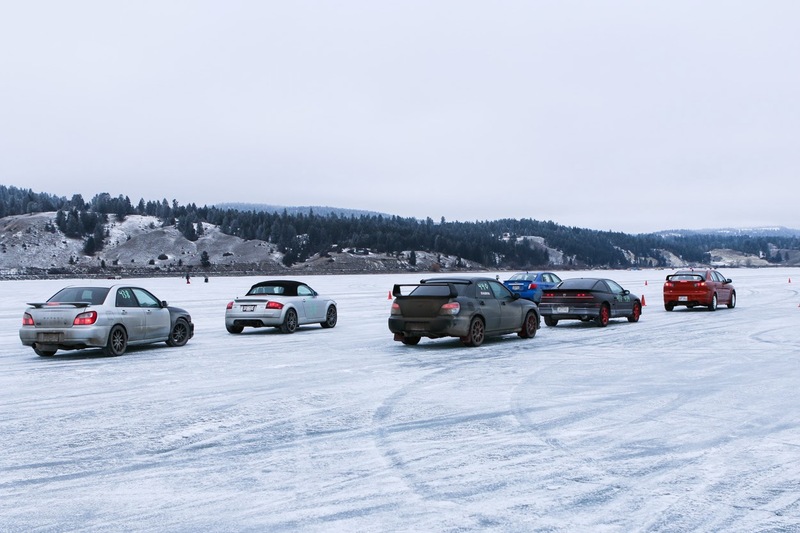 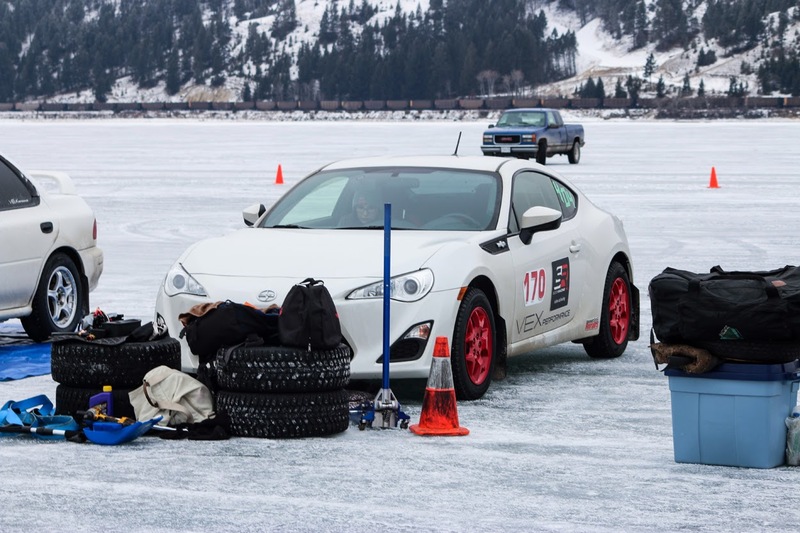 Ice racing is absolutely the coolest thing going on in Alberta in January. 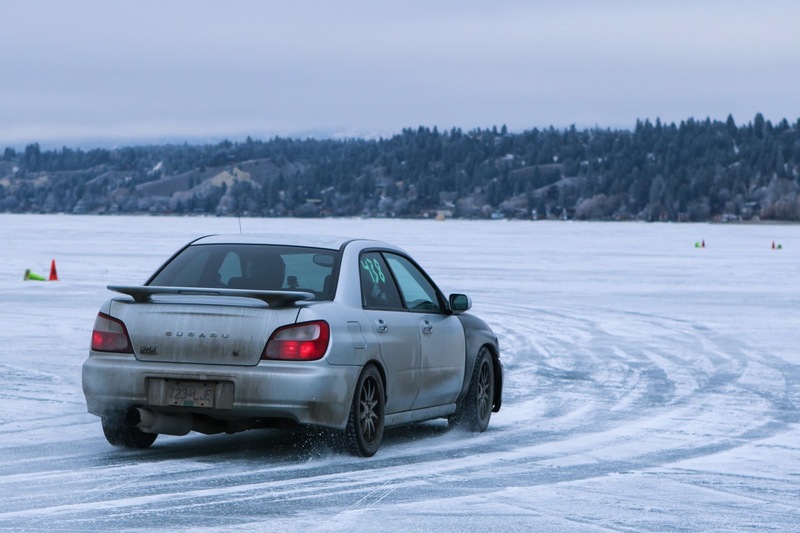 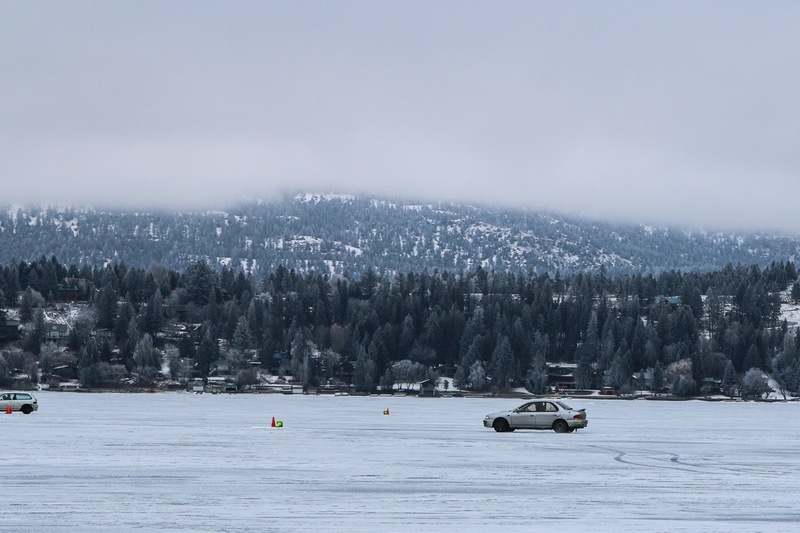 The single best thing about frigid Canadian winters is that many lakes freeze more than two feet thick; enough to support a car. 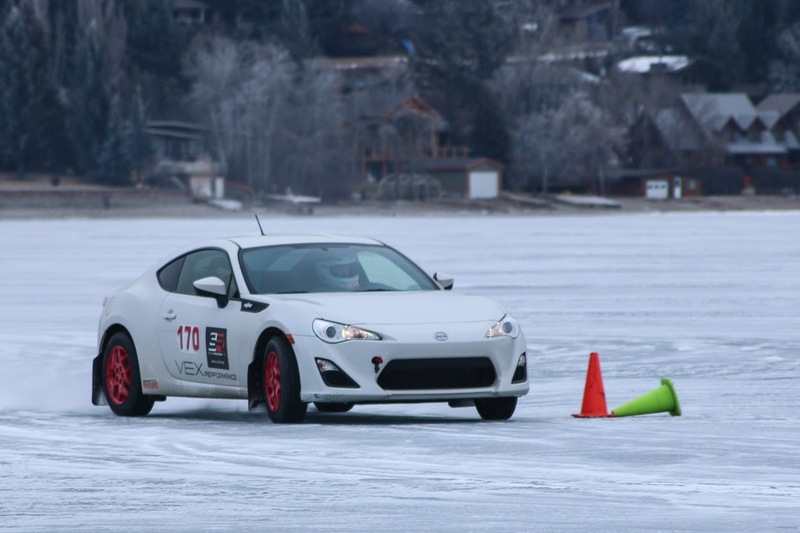 We've covered two previous Calgary Sports Car Club ICE Cup events here and here. 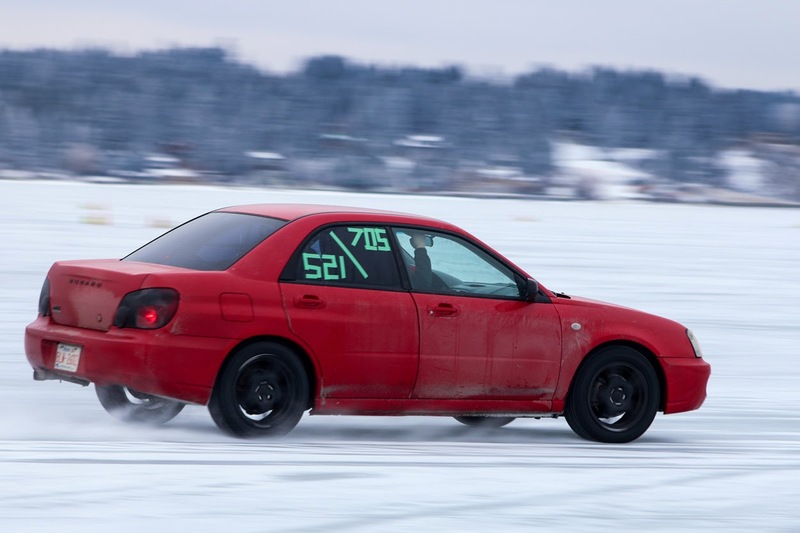 This time we're at the first event of 2014. 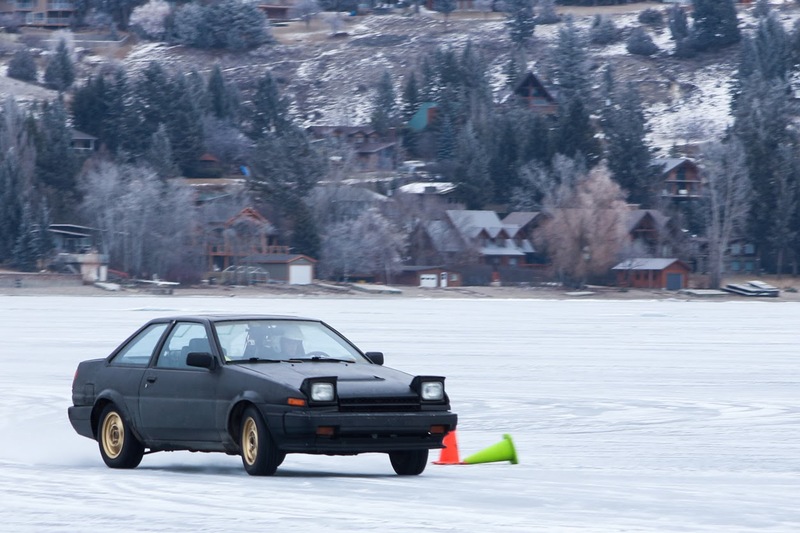 Much like last year, the CSCC ICE Cup is a solo time-trial event set up on course marked with cones on a frozen lake. 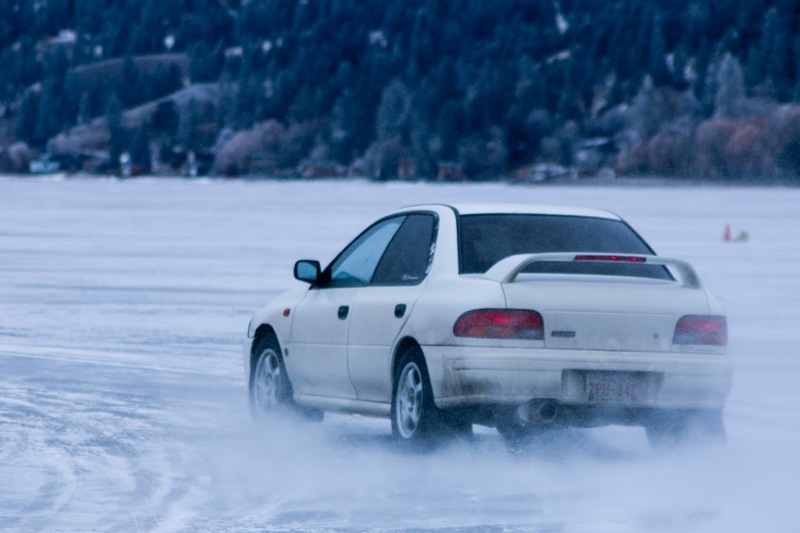 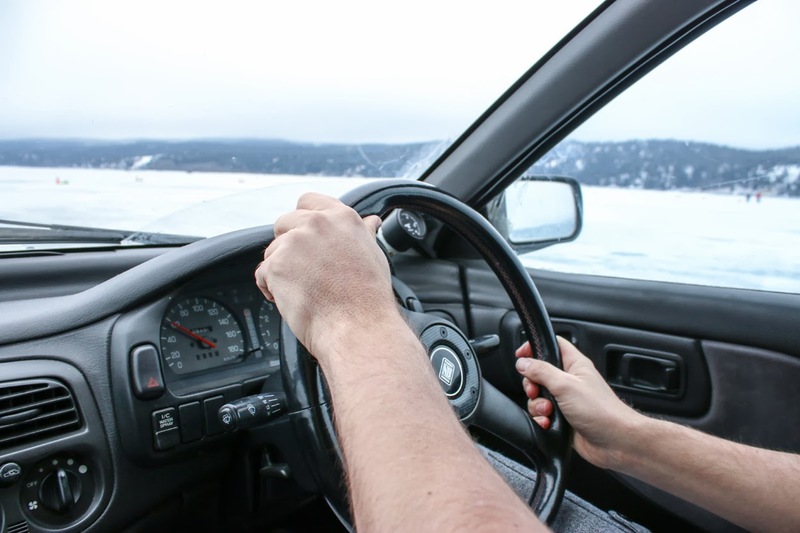 Classes are divided by drive type and whether or not your car is running studded tires. 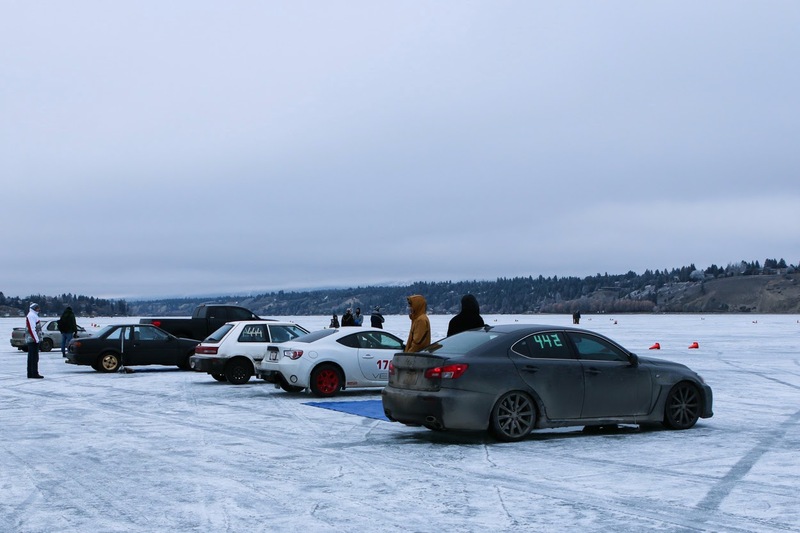 As per usual, there is a large Subaru turnout but anything (Except maybe an ice cream truck or a tractor) can run and there was a fair bit of diversity. 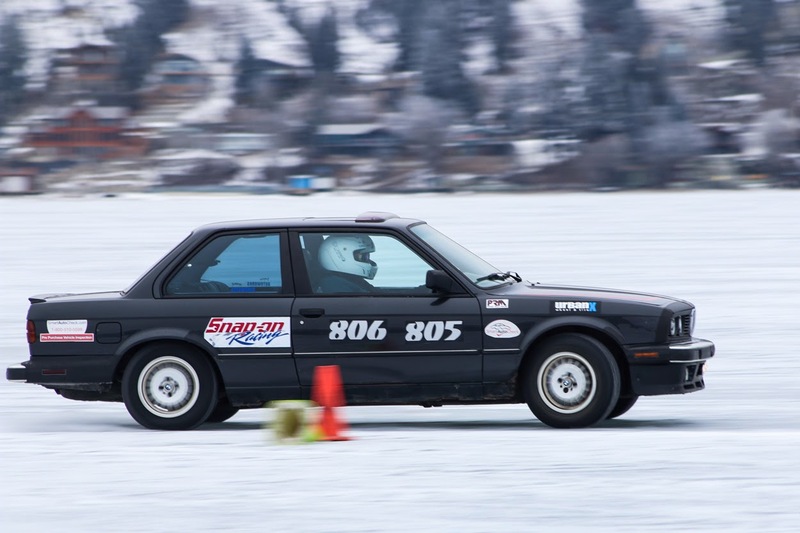 This super clean and uber quirky VR6 engined Passat was certainly the weirdest car at the event. 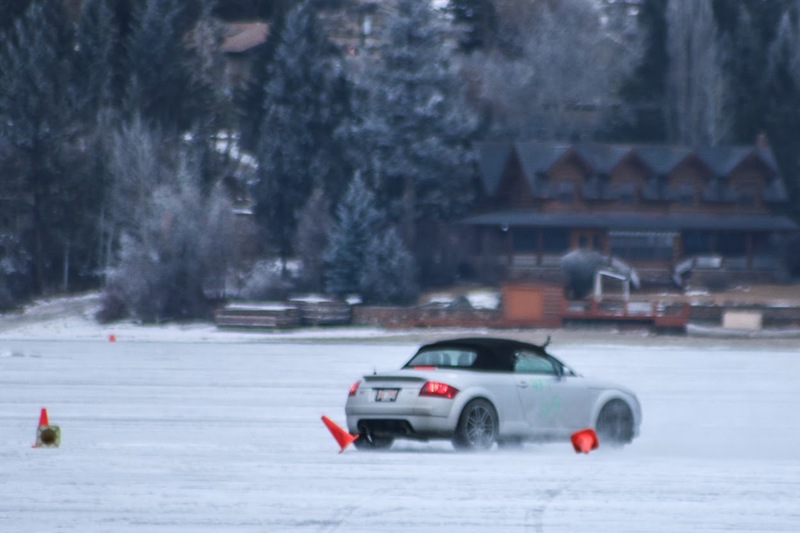 This one may or may not have been all wheel drive. 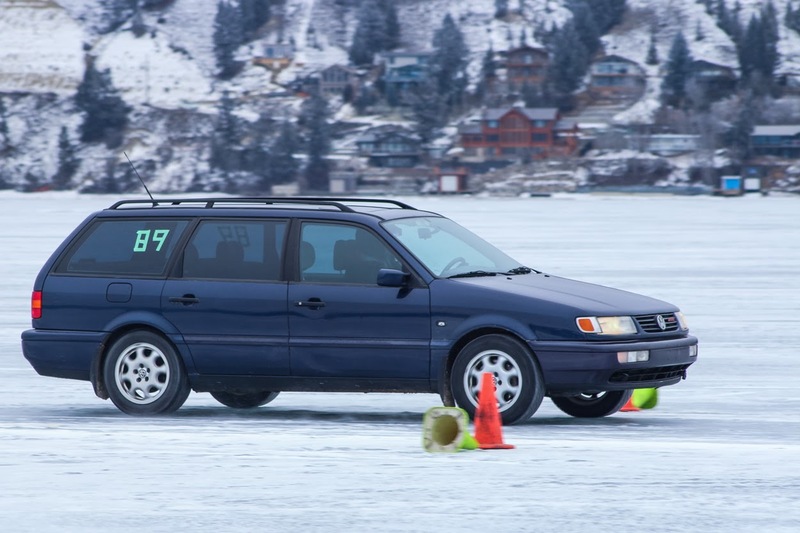 With its signature VR6 warble and odd looks, this was TLM's favorite car of the weekend. 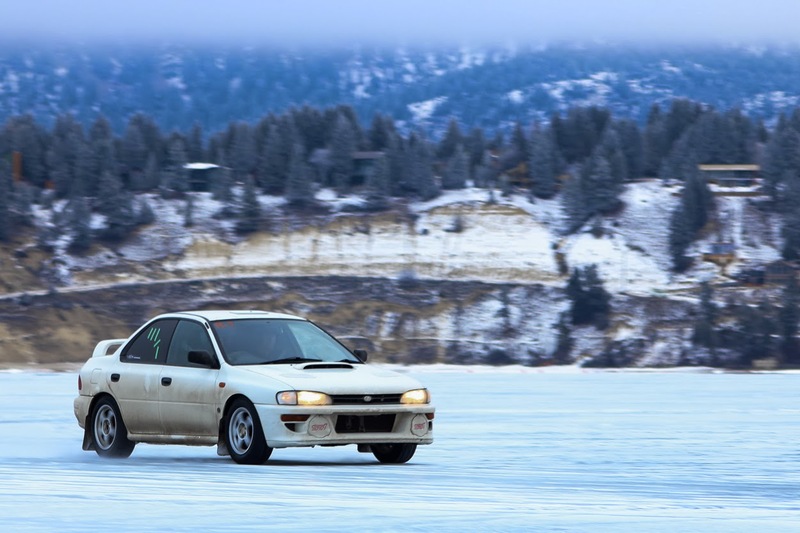 Mid '90's VW enthusiast, whoever you are, we salute you! 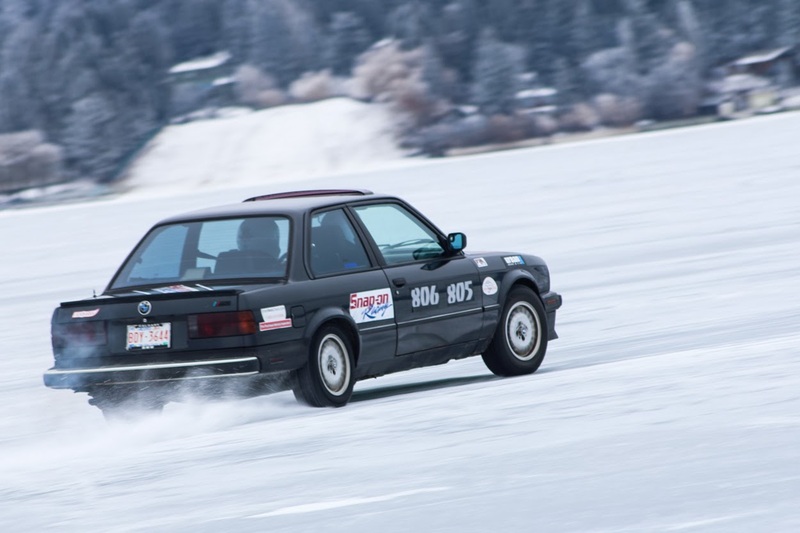 This straight six E30 BMW was a more "natural" choice for sliding around a frozen lake and it looked and sounded great while doing it. 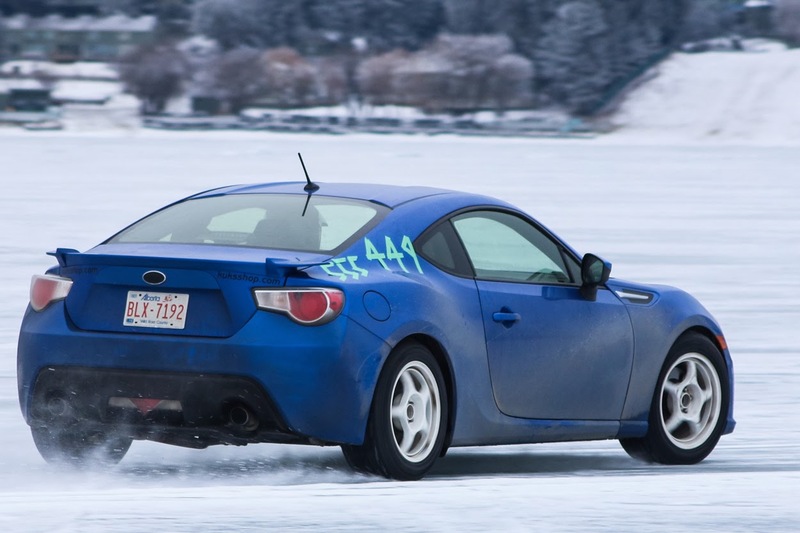 These are great cars for people looking start doing solo events in a rear wheel drive car. 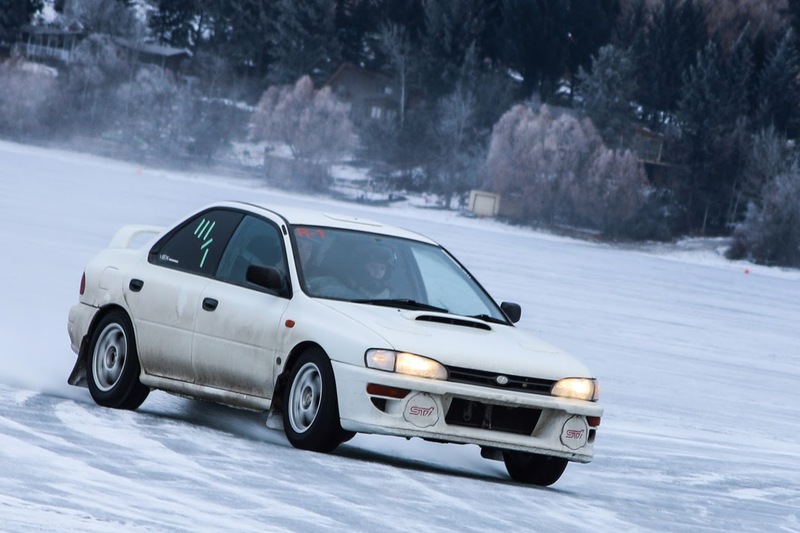 The Subayota twins are quickly becoming popular for these kinds of events. 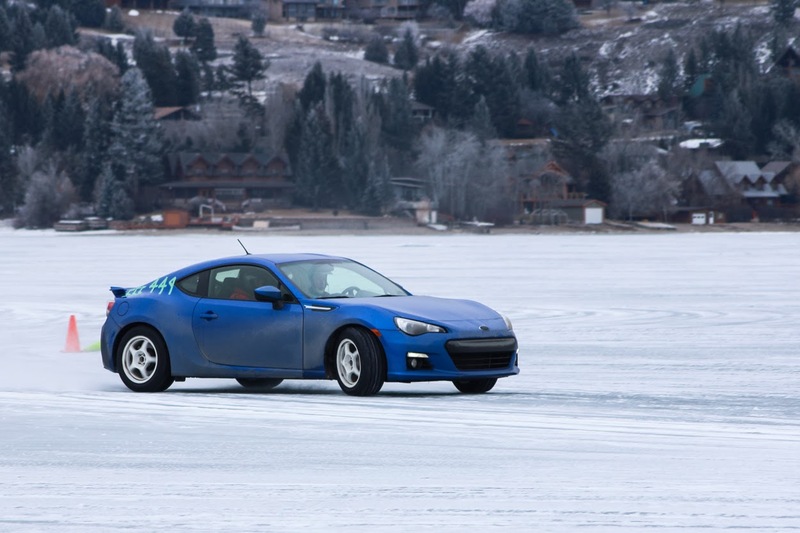 This stock Subaru BRZ was a head turner with white wheels (White wheels are ALWAYS the way to go) and turned in some decent times as well. 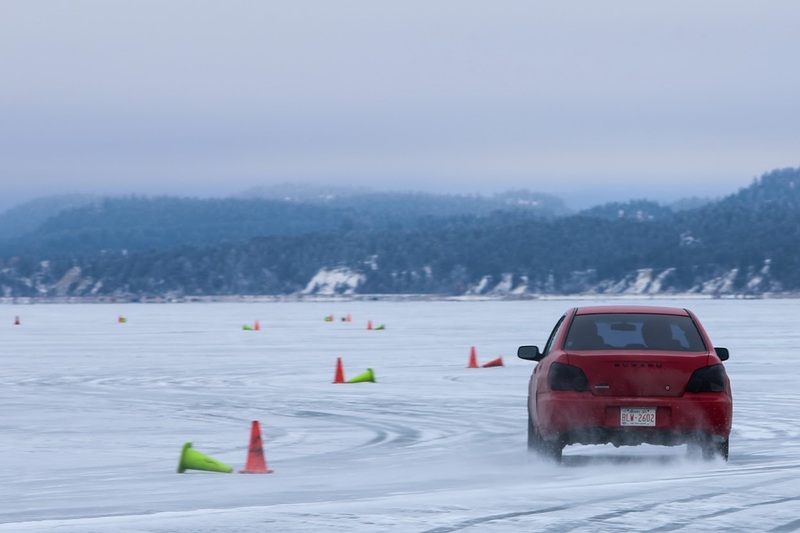 These things look like fun. 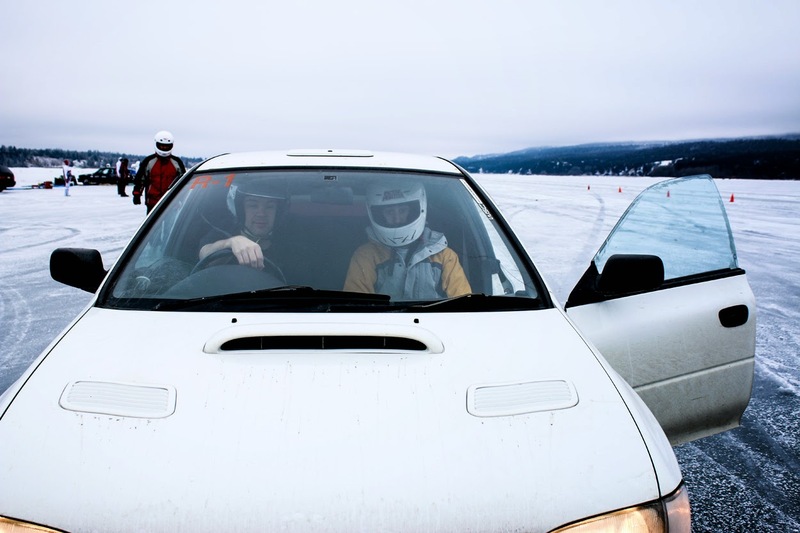 I was also lucky enough to have a chance in the passenger seat of Johnny Summers' Subaru WRX STI as he blasted around the track. 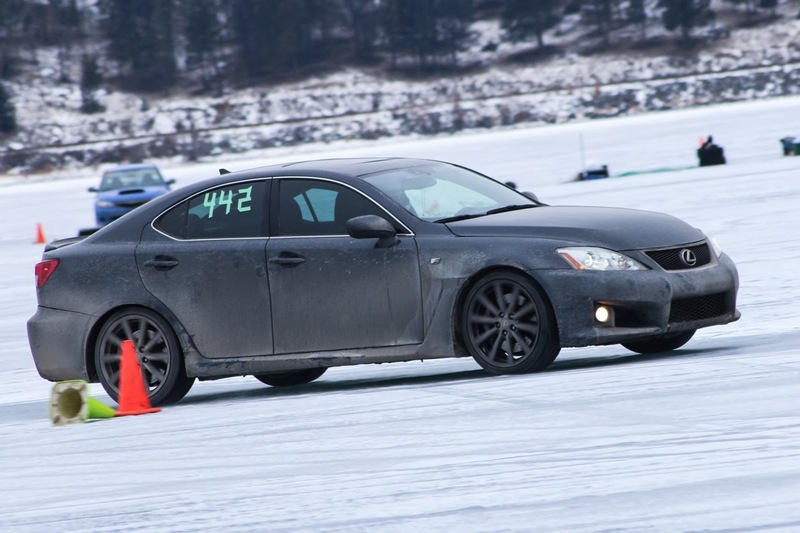 Reaching speeds up to 100 km/hr on the winding ice course was as awesome as you think it would be. 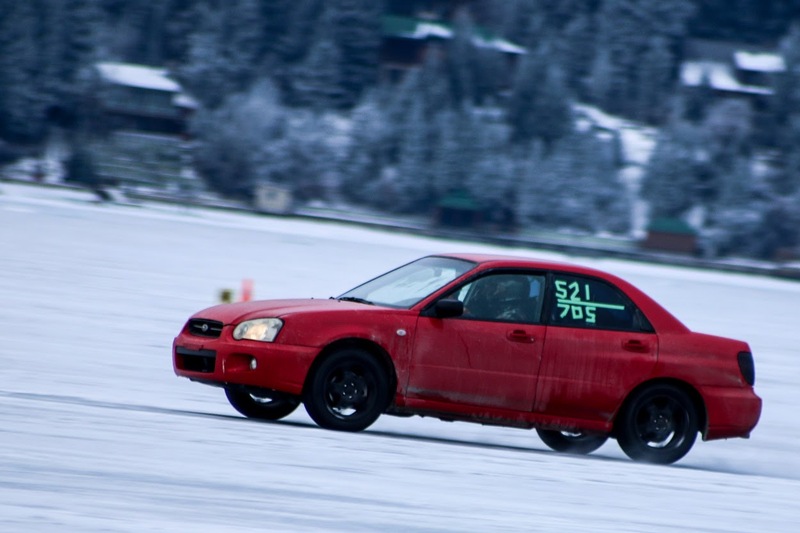 Summers would have the fastest time in his class by the end of the day. 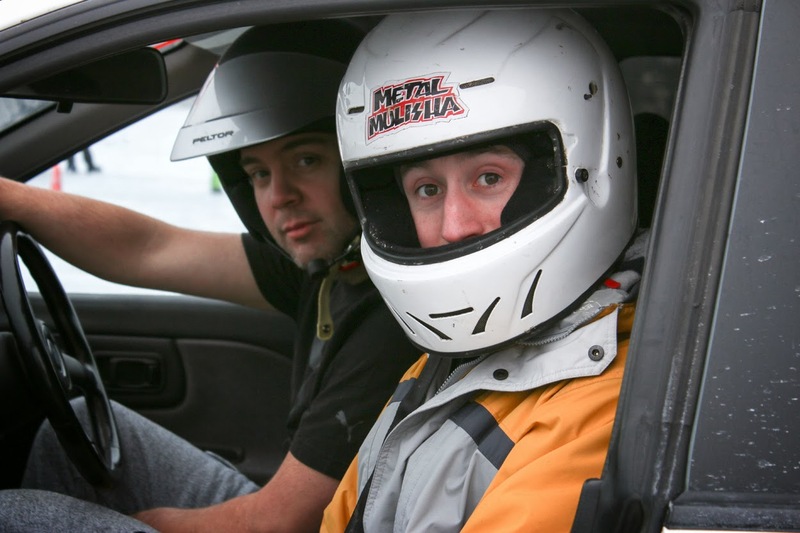 SItting shotgun while he slid around the track was motivation for me to get my car working and race ready! 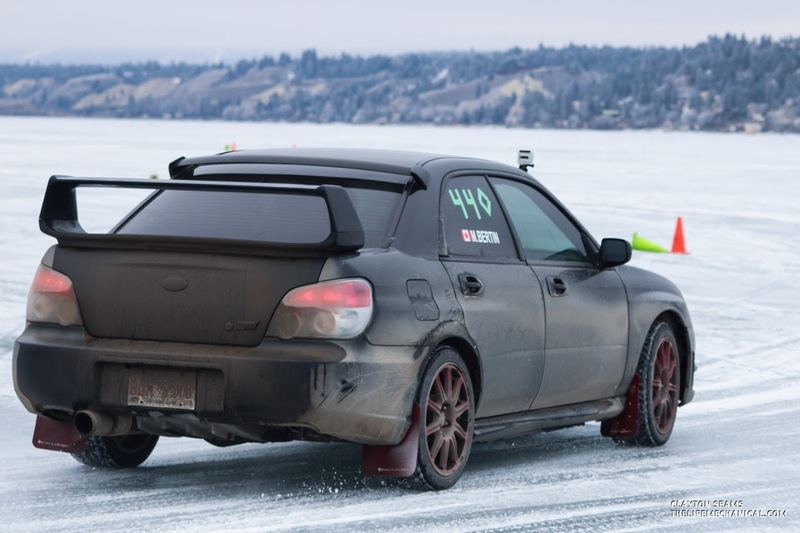 I also managed to take a short video of a part of his run.